Celebrate the best movies of the year and support Children's Therapy Clinic. 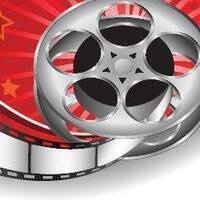 Join us as we roll out the Red Carpet and watch the Academy Awards. There will be food, refreshments, contests (including costume, predict the winners, and Oscar trivia), and a silent auction along with a Big Screen Broadcast of the 2019 Oscars. Tickets are $100 in Advance and $125 the evening of the event. Tables of ten can be purchased at a discount of $900. Sponsorship opportunities are also available. Please contact Valicia Leary by calling 304-342-9515 to purchase tickets or get more information about sponsorship opportunities. All proceeds will go toward therapy services for children with special needs.